Are Facebook Users Secretly Following You? 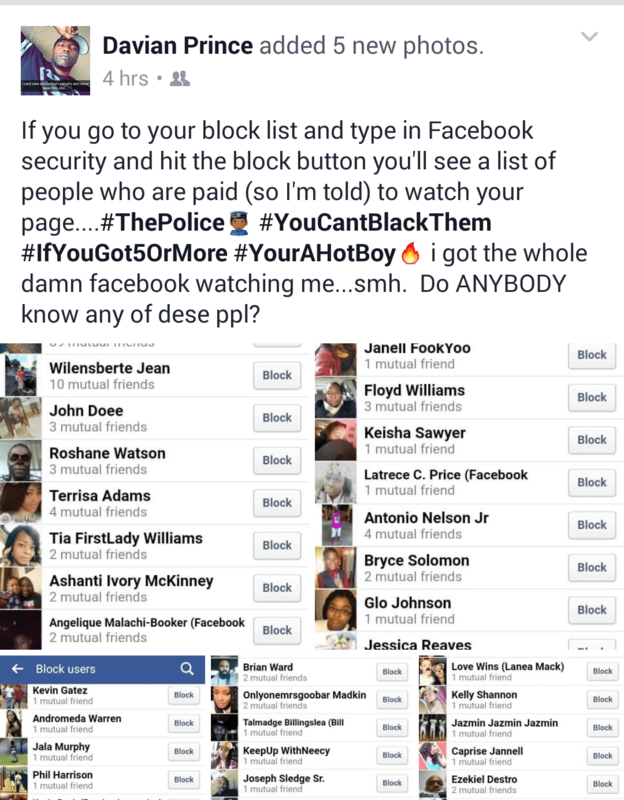 Instructions for blocking Facebook users who are supposedly furtively following you are spurious. Instructions explain how to block Facebook users who are following you without your knowledge. [D]id you know there are people literally watching your Facebook account? Yes. There are people who have a specific duty to monitor your posts and activity. While there are many Facebook secrets, for those who enjoy privacy, this one is for you! However, following these instructions does nothing to uncover or block the (non-existent) Facebook security personnel who are supposedly monitoring your online activities. Entering the term “Facebook Security” into “Block Users” search box simply returns “profiles of [users] who have used those particular words somewhere on their profile [or] in a place that’s visible to the individual, as in a public post.” The list returned by this search neither includes people who are furtively following you, nor persons employed to spy on you by Facebook security.